and help me out at the last minute. Today, My REAL LIFE (before blogging) FRIEND Jenn at Rook No. 17 is here. today she is sharing some donut goodness with us! I'm delighted to be guest posting here on 504 Main today. Thanks Holly! I brought enough to share too! Enjoy! My youngest daughter loves to bake and try new recipes, so when I came across a mini donut pan, I knew it would be a perfect gift for her. Who am I kidding? It was a gift for me too. After all, I've been a donut fanatic for about as long as I can remember. In third grade I got an "All About Me" book, and filled out each and every blank with the word, "donut". And that little Burl Ives tune wasn't my favorite because of the deeper message found in the lyrics -- it was because it had the word "donut" in it. We used the donut mix I bought with the pan, and the results were mighty tasty! It didn't make many, however, and we were eager to make more to share with friends and family. So, I set about experimenting. Happily, it took only two batches to get the measurements right -- just in time for my daughter and Holly's to have a little lemonade and donut stand (dubbed "The Hole in One")! This recipe is so easy -- so simple -- and so delicious! The best part is that the donuts are baked, not fried, without compromising taste. And, they bake up in only 5 minutes. Step 1: In a microwave or in a small pan on the stove top, melt butter and set aside. Step 2: In a medium bowl, add flour, sugar, baking powder, baking soda, salt, and cornstarch. Whisk to combine. Step 3: In the bowl of a standing mixer (or in a medium bowl, with a handheld mixer), mix milk and eggs until thoroughly combined. Step 4: Add dry ingredients to wet ingredients and stir on medium speed to combine. Step 5: Add melted butter and vanilla and stir on medium speed to combine. Step 6: Spray mini donut pan with nonstick cooking spray. 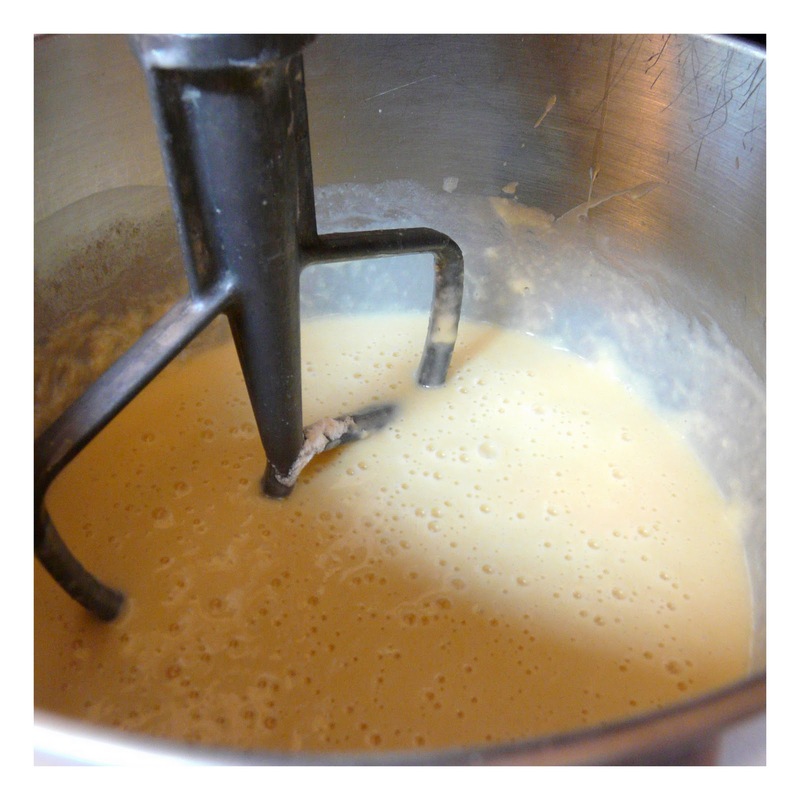 Fill each well 1/2 way with batter. To dispense the batter, I love to use a Wilton Easy Pour Funnel (you can pick these up in the cake decorating aisle of most craft stores for around $6). 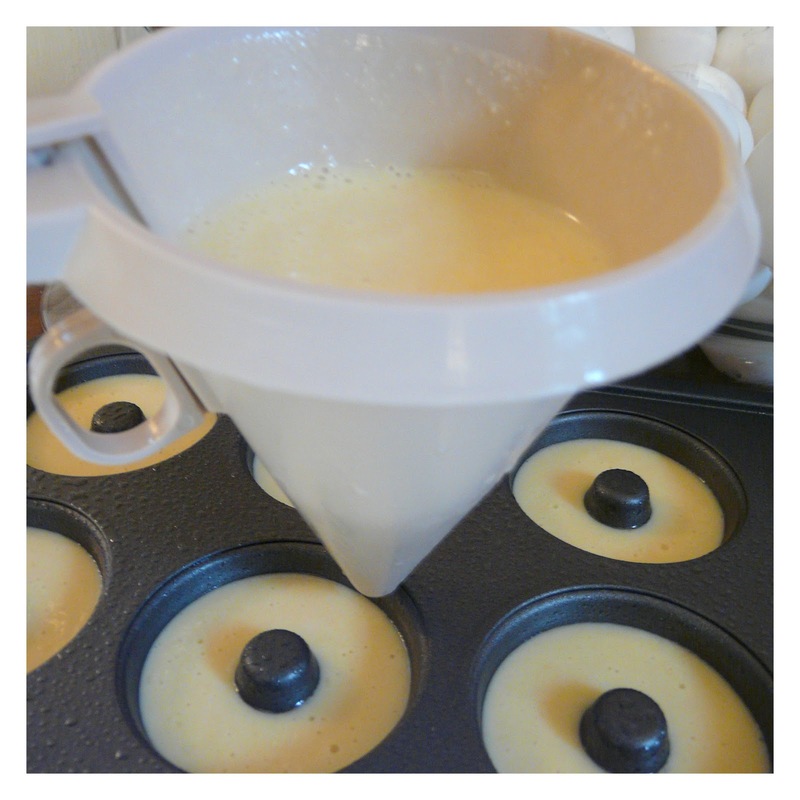 It makes dispensing the batter so easy and precise! Step 7: Bake for 5 minutes. Step 8: Remove pan from oven. Invert pan to release donuts. Cool donuts on a wire rack. Step 9: Glaze and decorate. Step 1: In a small bowl, add butter, milk, vanilla and honey. Microwave for 1 minute. Step 2: Add chocolate chips. Whisk till chocolate is completely melted. Step 3: Stir in the sifted powdered sugar. Step 4: Microwave for an additional 20 seconds. 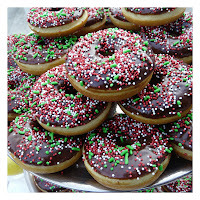 Step 5: Dip the lighter colored side of each donut into the glaze, sprinkle with donuts, and set on a wire rack to set. One not so fun day at home doing chores, the girls and I were sorting through the box we keep by the washer and dryer for collecting all the odd socks. The box had reached maximum capacity, and after sorting all the wayward socks into pairs, we were left with a handful of strays that would likely never see their mates again. "What a shame," I thought, to have to toss away all these sweet little children's socks, as I absentmindedly rolled one in my hands. 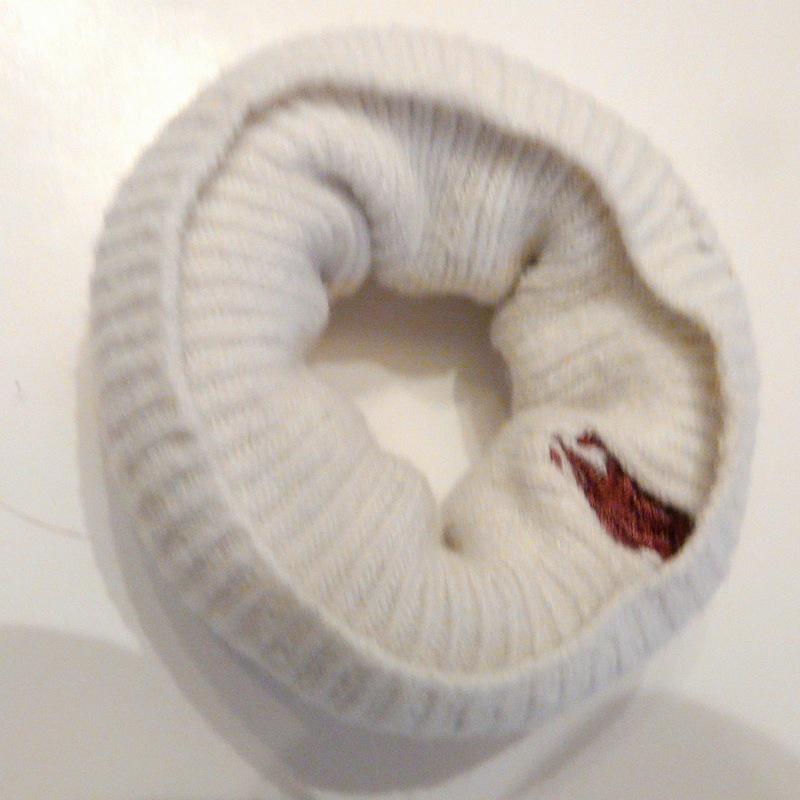 That's when my nine-year old daughter said, "Mama, that sock looks like a donut!" 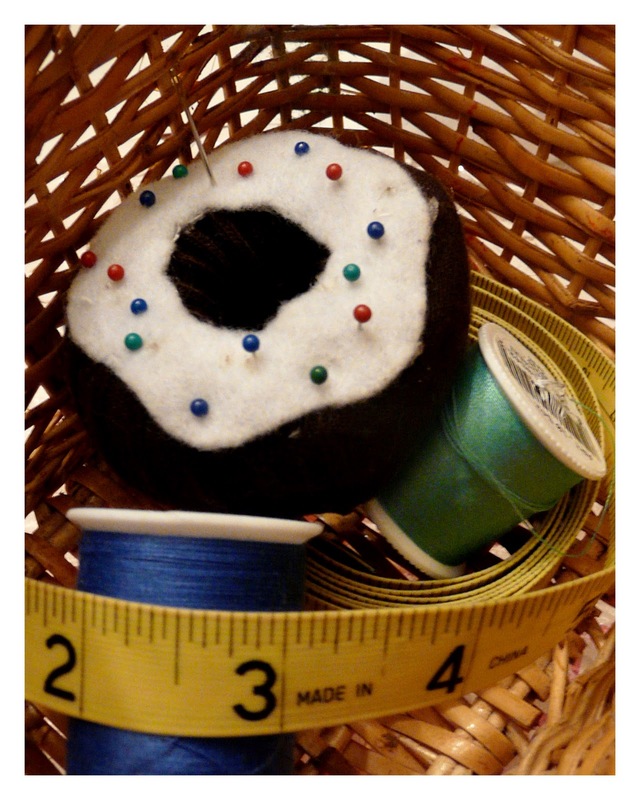 And that's how our sweet and simple little SOCK DONUT project was born. The girls and I spent the rest of the afternoon rolling the stray socks, cutting out felt "icing" and embellishing with bits and beads we found around the house. These plush donuts have gotten plenty of imagination time in our little play kitchen. I've also enjoyed using one as a pin cushion while I sew! These little plush donuts make a great gift for a child. 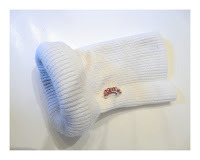 They're a whimsical way to "preserve" some of those sweet little baby socks. Very little sewing is required (just sewing the beads to the felt), and the donuts take just a few minutes to make. You can whip up a whole batch in less than an hour, and package them for gift-giving in a little pink bakery box. 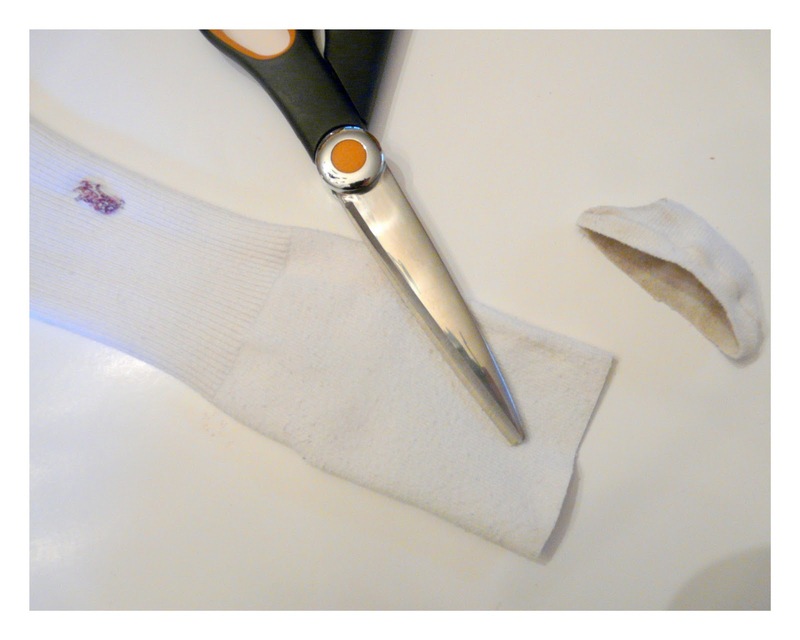 Step 1: Cut toe from sock. Step 2: Roll sock in on itself starting with the cut end. Step 3: Cut some "icing" from felt. 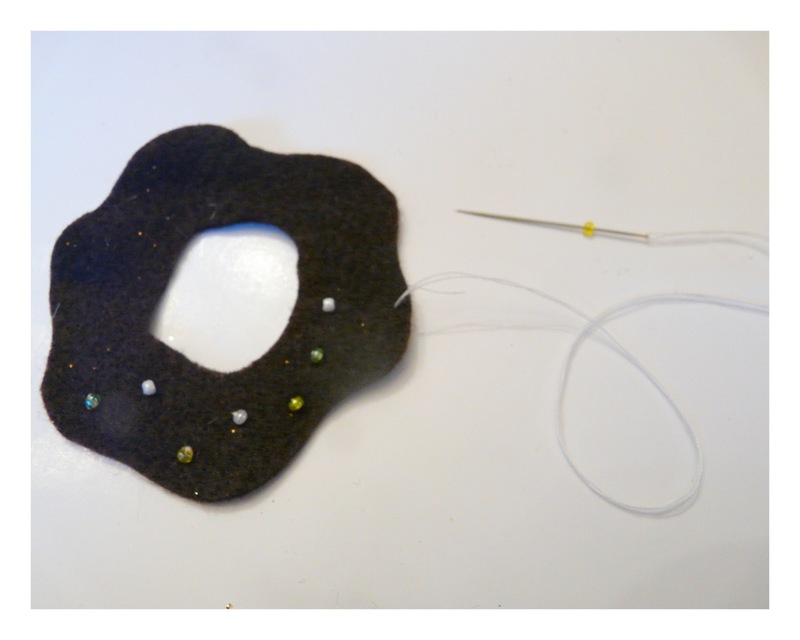 Step 4: Embellish by sewing small beads (I like seed and bugle beads) to the felt with a coordinating thread. 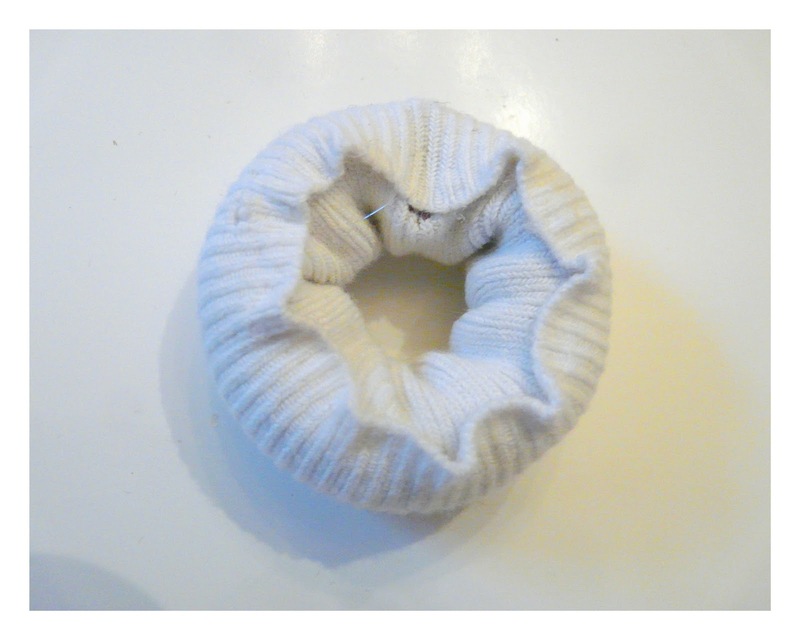 Step 5: With small dabs of hot glue, attach loose edge of the sock to the top of the "donut". This will help make it more durable. 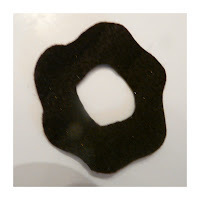 Step 6: Using hot glue, attach the embellished felt "icing" to the top of the sock "donut." Thanks Jenn! You are the best! Awesome post Jenn! Those doughnuts look delish and the sock donuts are SO adorable!!! I just found your blog and I'm loving it!! I'm your newest follower and "liker" on Facebook. 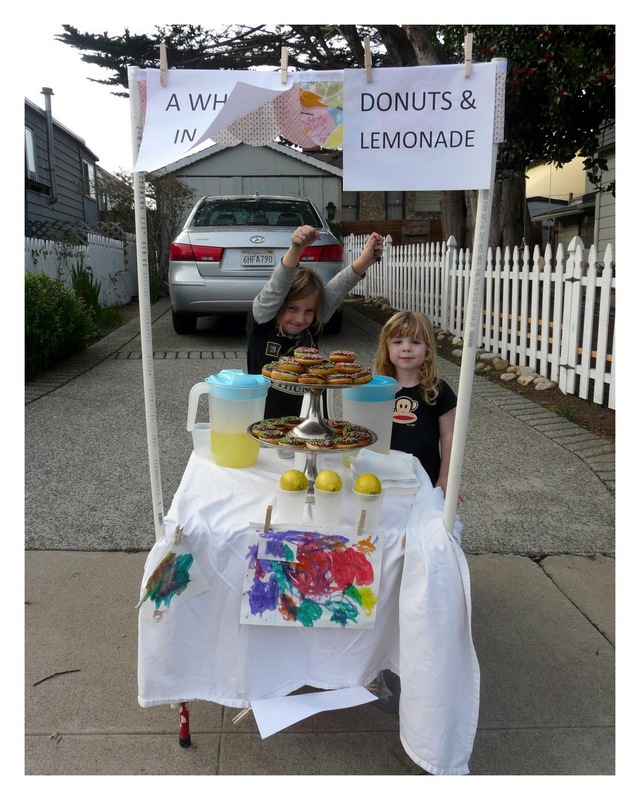 Those donuts look fabulous and the lemonade stand is adorable!! OK, I MUST find donut pans and try these. I could even make them sugar free, by golly. 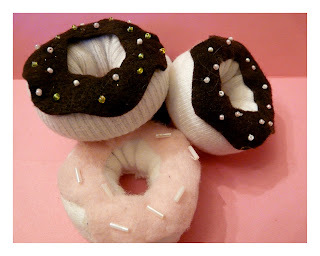 And the sock donuts arejust adorable! YUM! 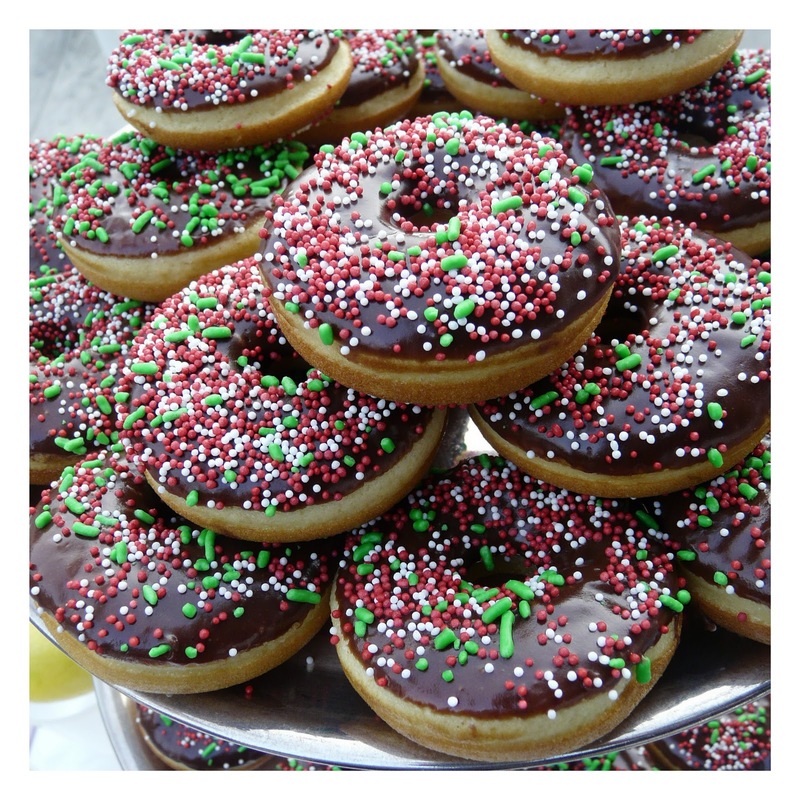 I need to find one of those doughnut pans so I can try these! Yum and yum! I love both versions!! Whoo Hooo... guess what I'm going to buy? Thanks Holly and Jen. All I had to see was the word 'donut' and i was over here in a flash! You've done a wicked thing giving me an 'easy' recipe... but nevertheless, thanks to you and Jenn for such a fun post! This is such a great post Jenn!!! I have been craving donuts - they look so yummy!! 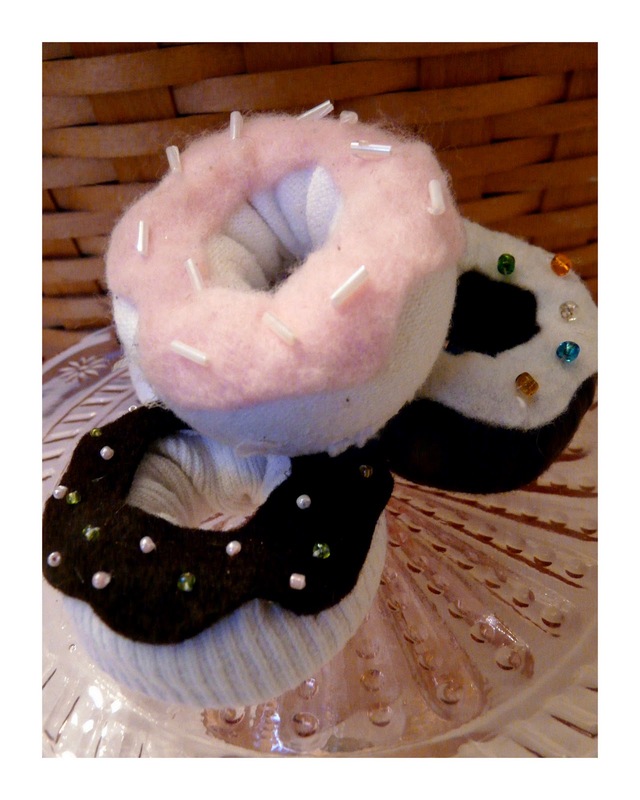 And the sock donuts are soooo adorable!!! Holly, thank you so much for your warm welcome here on 504 Main. I'm enjoying reading all of the wonderful comments, and wish everyone luck in finding a mini donut pan. I found my pan at Cost Plus, but haven't seen them there in a while. I bought a few on Amazon for holiday gifts, but found that the pan they sell there is for itty-bitty donuts (which are even cuter; just smaller and probably require a shortened baking time). Jenn, you are so darn creative! 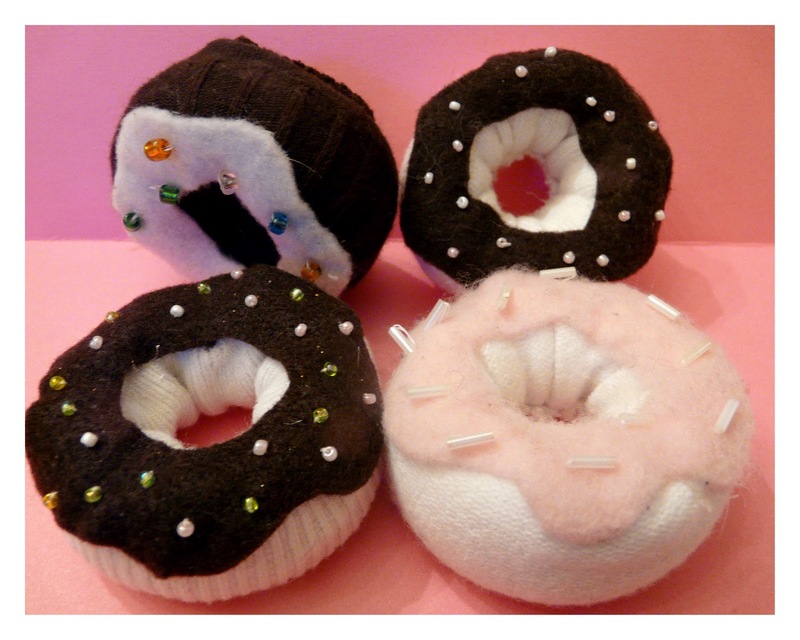 Those baked doughnuts look delicious and the sewn ones adorable! Nice guest post! I was just trying to think of a good source of socks to make these fab donuts, when I realised that I have an endless source of old socks from my children. We seem to constantly have a MOUNTAIN of odd socks. Where tehy come from, I cannot fathom!! Sometimes, they're not even socks that I recognise! So this is DEFINITELY a project I can do. LOL re: filling in each blank with "donut". On a side note: I'll be ordering a donut baking pan from Amazon. Cuz we all know baked donuts don't count as "bad", right? Doughnuts! I'm all over that like a carnie on an elephant ear! And baked to boot! WOO-HOO! now to find a doughnut pan. Oh yum!! Now I am totally craving donuts! I have a small electric donut maker, and the boys love it when I make them. I love both them~ though I would probably make the edible ones unedible, LOL! Yum on the real ones, and that sock thing is crazy clever! 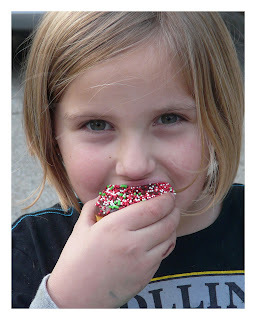 Mmmmm- donuts! The sock donuts are so cute too! Very dangerous as donuts are my weakness! Just found your site - love it! New follower! Those donuts look yummy. Thanks for sharing the recipe. Those little donut socks are cute! They would be great little toys for a small puppy too. I love the sock donuts! So cute! This would be a fun project to do with my granddaughters. I think I just might have a bag of mismatched socks around here somewhere! Thanks for stopping by my blog! Oh my gosh... having the ability to make donuts whenever I felt like would totally be bad news bears, but I just might have to try this! They look amazing!